When conditions on the river are right, nothing is more fun than enticing surface strikes from aggressive silvers! Make sure you take a few of these in your fly box as you head to Alaska. Here's an all-foam version of the Pink Pollywog that floats all day without any floatant. The Chernobyl Wog really brings silvers to the surface with explosive results. Silvers on a dry fly is what we live for! 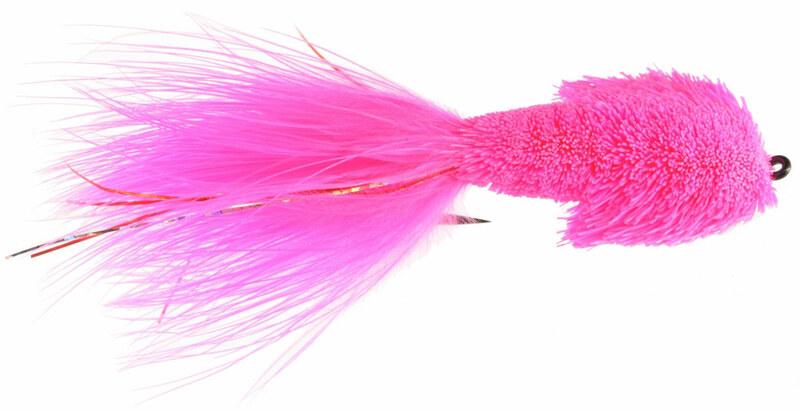 Hot pink color, flash in the tail, and a great foam head that makes a big wake and really wakes up those silver salmon! Size: 2, 4. Another of the original Wogs, the Pink Pollywog, Hammerhead was designed to push a maximum of water and cause a big wake. Nothing riles up sleepy silver salmon more than a big wake and that hot pink color. Stash a couple of these in your fly box for those times when silvers have schooled up in a pool waiting for the next run upstream. Chug the Hammerhead along the edge of the school and be ready for explosive topwater takes. Nothing is ever more fun! Sizes: 2, 4. Silver salmon on a dry fly? You betcha! Tie on a Pink Pollywog and get ready for explosive fun. This fly is one of the original popping wogs for silvers and it is still among the best. 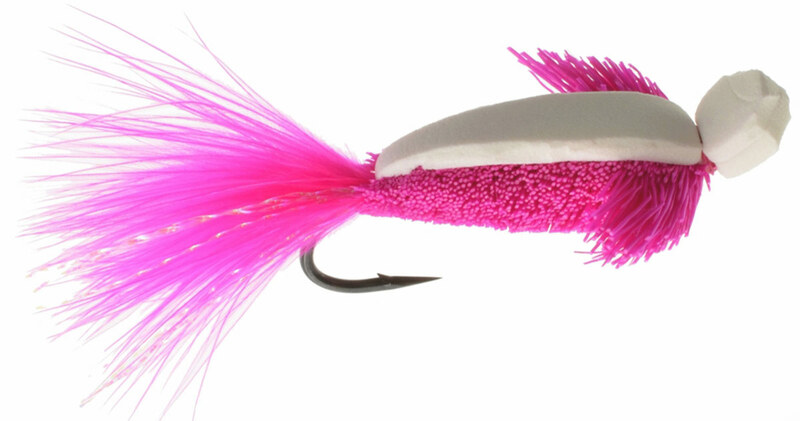 Hot Pink color, flash in the tail, spun deer hair for buoyancy, and a great foam head that will push water and really wake up those silvers! Size: 2.